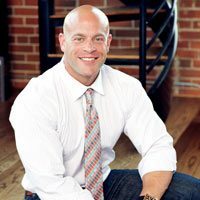 Noah Drucker is the co-founder of Denver Pain and Performance Solutions. His passion for health and wellness began at a young age, when he would spend his free time researching nutrition and performance development. He earned a Bachelor’s Degree in Economics from the University of Notre Dame, where he was a walk-on defensive lineman for the Fighting Irish. He then fulfilled his life-long dream of playing professional football with a five-year career in the Arena Football League. Eventually, Noah realized his passion for physical wellness and sports performance exceeded his love for the game, and he retired to pursue a Master’s Degree in Biomechanics. He spent time as Director of Performance Development at a physical therapy clinic coaching high school, Olympic, and professional athletes, as well as helping individual clients attain training and nutrition goals. For over a decade, he has worked privately with clients coaching sprint mechanics and physique transformation. In 2009, Noah decided to move beyond nutrition and performance coaching. He enrolled at the Colorado Institute of Massage therapy with the goal of becoming licensed to perform manual therapy. His greatest passion is continuing his development as a therapist in order to provide clients with the greatest potential for pain-free living and optimal physical performance. Noah spends his spare time reading science-fiction and fantasy books, lifting weights, listening to hard rock and 80’s music, and throwing tantrums during Notre Dame football games.